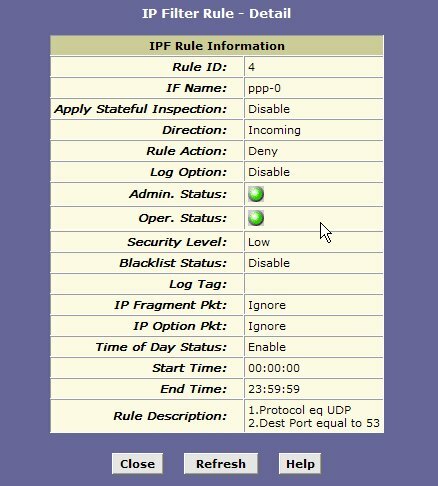 The following example shows you how to stealth your telnet port. 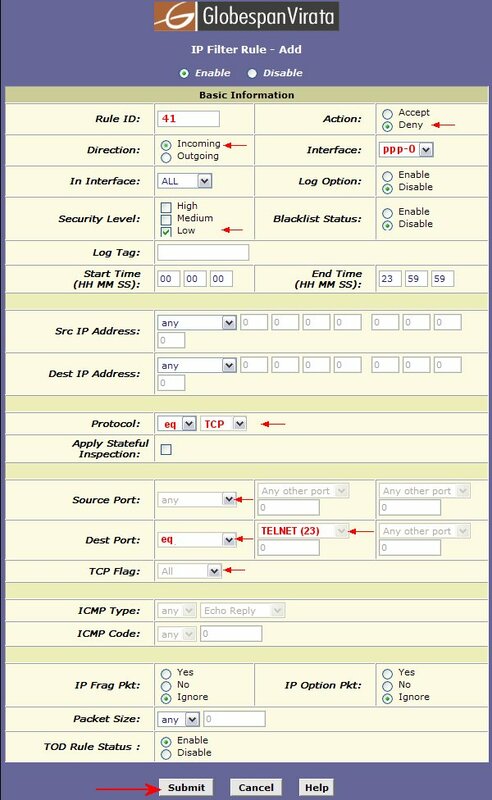 You should repeat the following steps with each of the above ports using a new "Rule ID" number for each rule you apply. submit the changes then commit the changes in the admin tab. To stealth all ports see the next page.